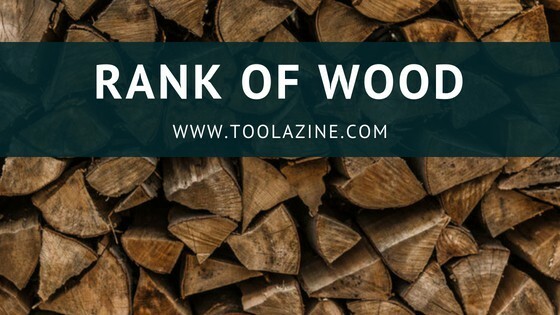 Toolazine What is a rank of wood? What is a rank of wood? I often hear people ask what exactly a rank of wood is? So I wrote this to try and help explain. You might also be wondering how much does it cost and how can you measure or buy it. Many unfortunately mistaken the term “rank” of wood for cord or rick of wood or even rack of wood, but none of these terms, no matter how similar, have anything to do with a rank of wood. We are hoping this article might be a bit more illuminating for you on the subject. Ranking is a way you stack the wood, more specifically means putting each piece of wood parallel next to each other so that there is no space in between and that way it can be measured. If there is space in between the pieces of wood, there will be a less wood stacked and therefore if you are buying wood more money will be taken from you for a less amount of wood. You should always only measure the wood that is well ranked. To make one thing clear, ranking is not a measurement like the cord or the rick, but simply the way the wood is stacked. So ranking the wood properly or an already well-ranked pile of wood is of great importance when buying some firewood. Did you know that it is best to keep your firewood stacked off the ground and covered? This keeps your firewood dry and makes it burn better. A covered waterproof firewood rack is ideal for storing your firewood right before you burn it. What does a rank of wood measure? How many pieces of wood in a rank? How much is a rank of wood worth? | How much does a rank of wood cost? How many ranks in a cord of wood? The rank of wood measures the number of wood piles you have in a cord or rick. To measure a rank, first rank the pile of firewood. Firewood is often measured by the cord, which is 4 feet high, 4 feet wide and 8 feet long. Try to put the pieces of firewood next to each other so that the pile measures 8 feet long, 4 feet wide and 4 feet high. In case you don’t have that much firewood, stack the pile so it is 8 feet long and 4 feet high. The width does not matter. After that measure the rank of firewood and the best way to do that is to use a measuring tape to measure the width, length and height of the pile. Then try multiplying all of them together to get the cubic feet of the pile. Here is an example, a pile of wood that is measuring 55 cubic feet is half of a sawed cord. If your wood is sawed and split instead of just sawed logs or whole then try dividing the cubic feet by 120. Then you can use the number of cords or the cubic feet of the pile to sell or buy firewood at a fair price. How many pieces of wood does it take to make a rank? There is no official number when making a rank, because most cord or size of the rick is different, so it all depends on the amount of wood you wish to stack. However, in general, there are a few standard numbers when it comes to ranking or stacking piles of wood to make a rank. A bundle of wood usually has about 6 pieces and a stack has about 24 to 28 pieces of wood, but if you like to stack or rank a lot more wood, then the ranking number may double or go higher, but again it all depends on how much ranked wood you want. If it is a smaller amount of wood, then the general number would probably be half of the previous figures, making it around from 12 to 14 pieces of wood per rank. Then again it all depends on the wood amount you are planning to rank. So if you like to follow the standard ranking u can use these numbers to help you rank the wood that you are buying or already have. A rank of wood probably weights around 2 tons, same as a cord, but there is no exact number on how much it truly weights, it depends on the amount of wood ranked in order to determine the weight. The weight of the wood is usually determined by two factors – the density of the wood and how much moisture it contains. For example, a dense hardwood weighs more than a softwood, because the hardwood contains much more volume per cubic foot. Green firewood is freshly cut wood. Seasoned firewood is cut wood, which is allowed to dry, because it is reducing 20% or less of the moisture of the firewood. Seasoning firewood can take around 6 months to a year depending on the species. Oak can take up to two years to fully season. It is also among the popular choices when buying wood. So a cord of green firewood will weigh 70 to 100% more than a cord, depending on the species. The early spring or in the winter is probably the best time to cut firewood, because the sap might start to run. If you are planning on cutting down a tree without any leafs, let it rest for a bit until the leafs are crispy, because this way the leaves will draw out any water from the tree before you process it, while reducing any moisture. Many people today, would rather buy a rack of firewood and pay as much as needed, because to cut a wood or to keep a fireplace burning can be to much work to do it yourself, while firewood can be quite expensive if the volumes and values are not familiar. Today it is important to see and understand how the sellers measure wood, because it is one of the most important factors when determining the price and its worth later on. However to make things clear, again, ranking is not a measurement like the cord or the rick, it is simply the way the wood is stacked. So when it comes to the price of a rank of wood in the USA, it differs from one place to another, but the prices often vary around from $40 per rank and above. We can not know for sure since it all depends on the amount of wood and place they cell it. The cord is a unit of dry volume used to measure firewood and pulpwood in the United States and Canada. When it is “racked and well stowed”, meaning the pieces are arranged in a parallel and aligned way, it takes a volume of 128 cubic feet (3.62 m3). Firewood uses “cord” as the official unit of measurement and its origin dates back to around 1610 when the wood was sold in bundles and was literally tied with a cord. In those days there was a limit to how much one person can carry so a cord back then was much smaller than a cord is today. A rick is an informal unit of volume for stacked wood and is sometimes called a face cord. The width and height of a rick is pretty much the same as a cord, apart from the depth. The front face is the same as a cord (4’x8′), so the name comes from there. The depth is in residential fireplaces is often around 16”, but it can be anything from 12 inches to 32 inches. The wood is racked and well stowed – meaning set up in a parallel and aligned way, and air gaps are minimized. It should never be set up in different directions, as this will add a big amount of empty space to the stack. From this we can conclude that the difference between a rick, rank and a cord is that a rank is the way the wood is stacked between each tile and put in order in other words ‘’ranked’’, while a rick and a cord are unites of different volumes used to measure different types of wood. Many people tend to make mistakes of mixing them up, but there is a big difference between each. A cord of wood is not well ranked the dimensions will be different because the wood pieces will be more random so they will take up much more space than needed. There will always be a bit of air space left between the pieces in any rank of wood, but the more tightly stacked the wood is, the better wood you will have in a cord. Criss-crossing the wood as some people do when they stack it, can sometimes help in drying and is a good way of stabilizing the ends. Although this is ok, when it comes to measuring the wood, there will be a bit more air space between the pieces and therefore less solid wood in a cord. The airspace will be even bigger for a loose and unstacked pile of wood. So the ranks and cords of wood are in a way connected, but they are far from the same thing. For the cord to have the proper dimensions and to be easier to determine the price, it must first be ranked or stacked properly. If you do not wish to get your money taken for no reason or deceived in any way, then always first rank your wood piles properly before anything else. As mentioned earlier, each cord of woods measurements and quantity varies from one place to another. It depends on the amount of wood you wish to rank or stack in other words. However, there are a few numbers, that are being used more frequently, and the number of ranks in a cord are about 18 to 20 with measurements of 4’tall x 8′ long. Again the number varies from one place to another because it also depends on the amount of wood you wish to buy, but if you are looking to buy something of a more standard size or amount of wood, then we hope these numbers can help you with ranking your wood. 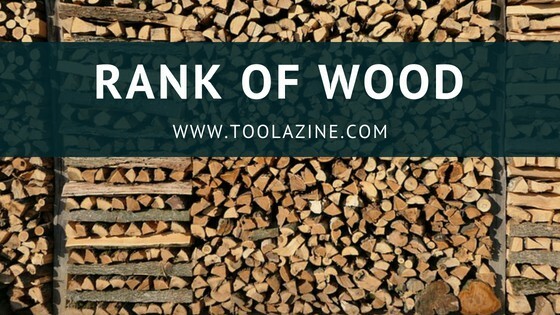 Are you interested to know about measuring firewood? 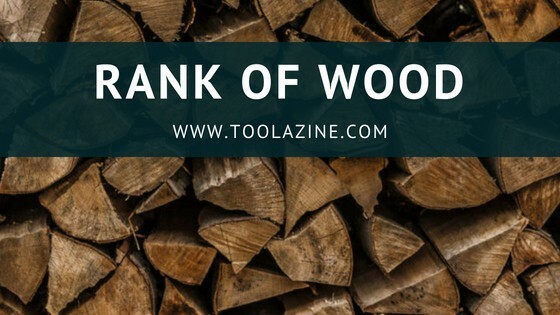 Read more about how many logs in a cord of wood. There are many questions concerning this topic and even though people tend to mix the terms up a bit, there I still a big difference when it comes to units of wood measurement. I hope this article gave you a more clear point of view of the units and prices when it comes to buying wood for your home or any other occasion or reason you wish to buy it. If there are any suggestions or questions about things you want to find more about, I would appreciate it if you could please let me know in the comments below. Are you preparing for winter? How is your snow thrower? Check out this review of the best snow throwers. How many logs in a cord of firewood?